At the weekends we usually have a little more time to relax and enjoy breakfast time than we do before school during the week so this weekend I prepped a vast array of different fruits and then let the girls loose with an array of healthy fruits, nuts and spreads so that they could hand-craft their own Weetabuddies. 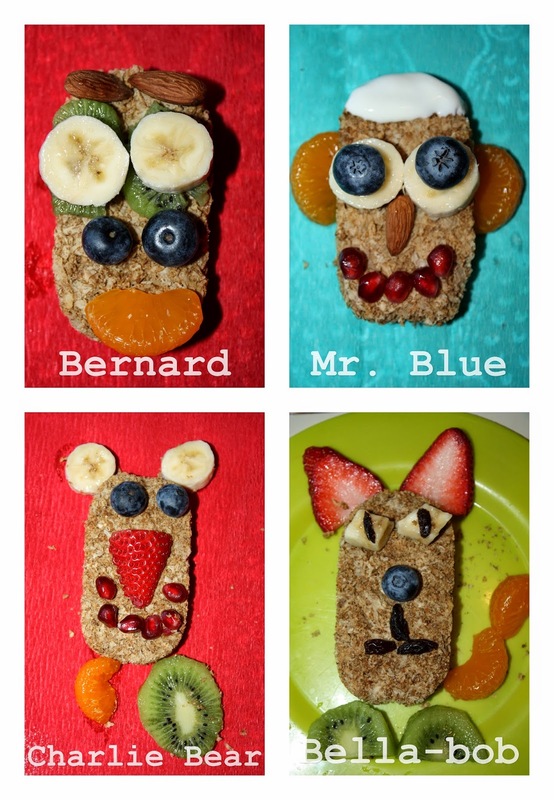 Weetabix have created a collection of Weetabuddies to make breakfast that little bit more fun. Each Weetabuddy has its own character and really comes to life once you get to know them! I challenged the girls to make their own Weetabix characters - even myself and Mr. B. had a go at creating one as well - an entire mellow family of Weetabuddies. Making a Weetabuddy is easy. Step 1. Grab a Weetabix biscuit. Step 3. Take a photo of your Weetabuddy and upload it to weetabuddies.com between now and the end of March 2015 to win prizes each day (and of course, fame for your Weetabuddy).